Rebecca said: "I’m writing to tell you about a bookstore in Lille which is not yet on your really impressive list of great places to buy books. If you have ever been to Lille you will know it as a charming Flemish style city, tucked into to uppermost corner of France. I’ve been living there for over ten years with my French husband and our young but increasingly bilingual daughter. Mr Ulyett’s bookshop has been around since I have – it’s called Books et alia – and he’s always there smiling us in as we walk through the door. He will chat with you on any subject – especially his favourite topic (the English language) if he has the time. I’m a former teacher too and we share a keen eye for Frenchisms and bilingualisms. I’m not the only one to drop by for a chat – so I’ll often find him with teachers or students who want to practise their English or with another literature fanatic, discussing the merits of the original versions of Bronte or Poe... It’s right in the centre of town so I manage to swing by quite often. And Mr. Ulyett can order anything you want! He even got me some Shel Silverstein for my little girl... [H]e’ll go out of his way to find what I’m looking for – he once got me a book in from Germany which was out of print in the US!" The recommendation we have received for this island of English reading material in the French city of Lille definitely ranks among the most passionate and persuasive ones we remember. It's really great to get this sort of proof that there are still people who have a very personal relationship with their local bookstore and also that there are still bookstore owners and staff who are able to and willing to create this sort of friendly, open and customer-oriented environment. Books et alia has been active in Lille since 1998 as an independent supplier of imported books in English language from all over the world. Mr. Ulyett, the owner of this bookstore, has obviously succeeded in attracting a loyal and satisfied clientele, thanks to his personal approach and passion for both books and the English language. The stock of this bookstore is not specialized in a specific field, it covers different areas of interest such as children's literature, textbooks for students or teachers, modern fiction or non-fiction titles on various subjects. It is possible to order any titles that are currently not on stock and they also track down out-of-print titles. 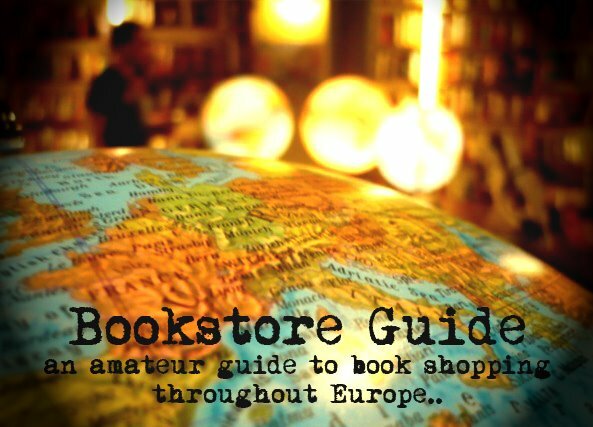 It is also important to mention that this bookstore has a second hand section as well.